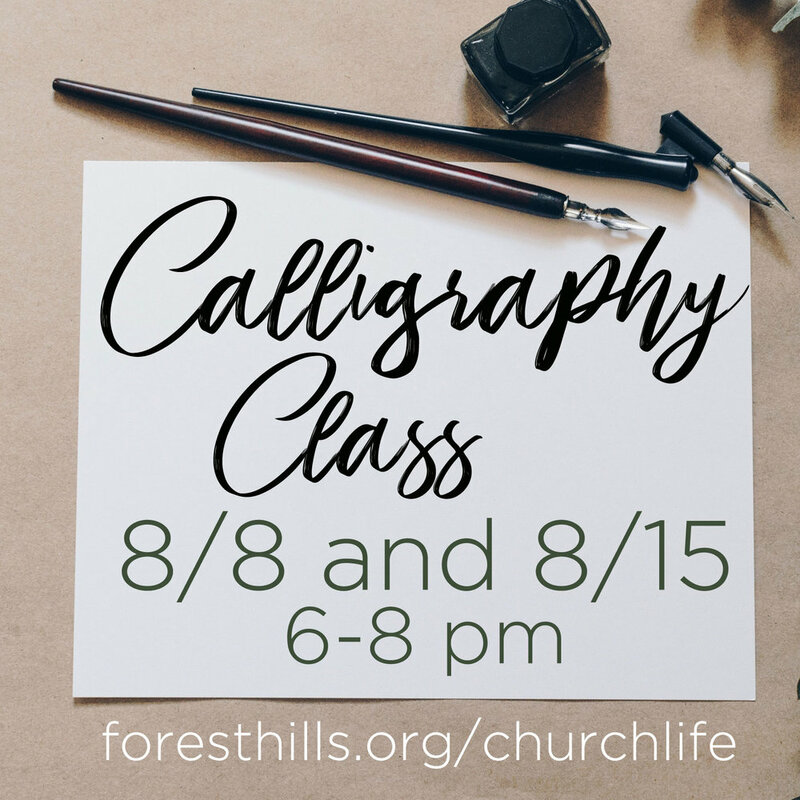 The Arts Ministry is sponsoring a two-session Calligraphy Class led by Harriet Davis on Wed, 8/8 and 8/15 from 6:00 - 8:00 pm in Shepherd's Studio. There is no charge and supplies are provided. Seating is limited; if you are interested in joining, register at forestghills.org/churchlife.